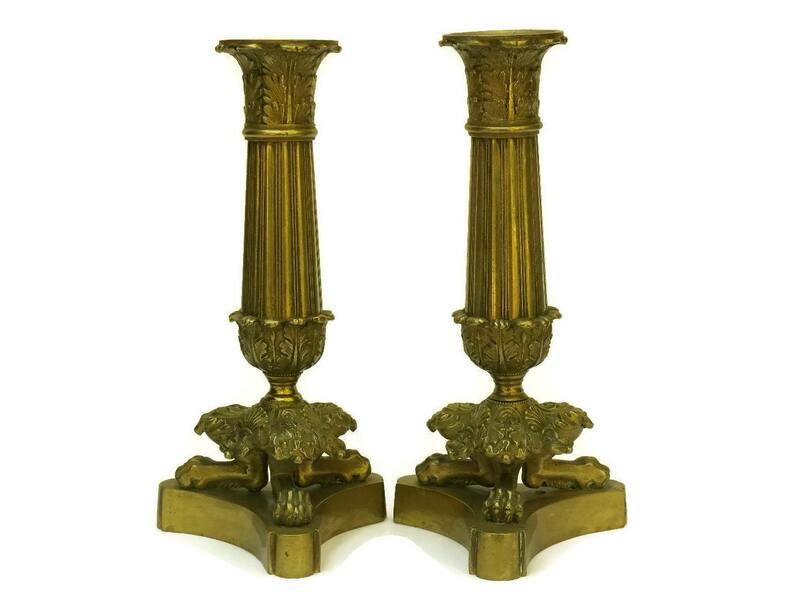 An exquisite pair of antique 19th Century bronze candlestick holders. 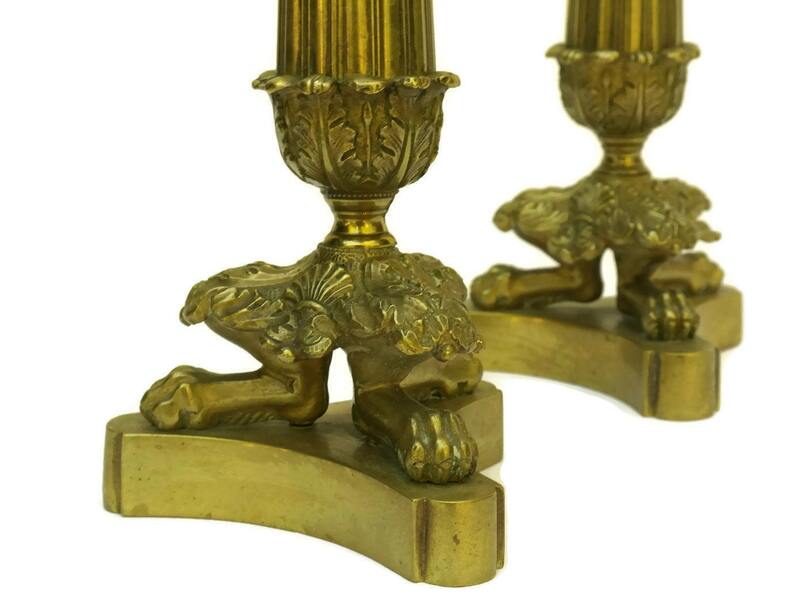 They have been created in the elegant French Restoration style and feature a classic column design. 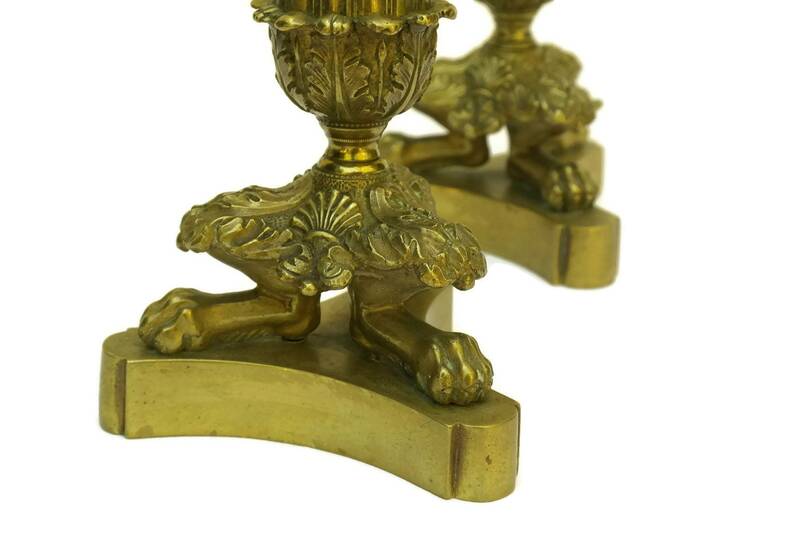 The bases have been ornately decorated with tripod lion paw feet. 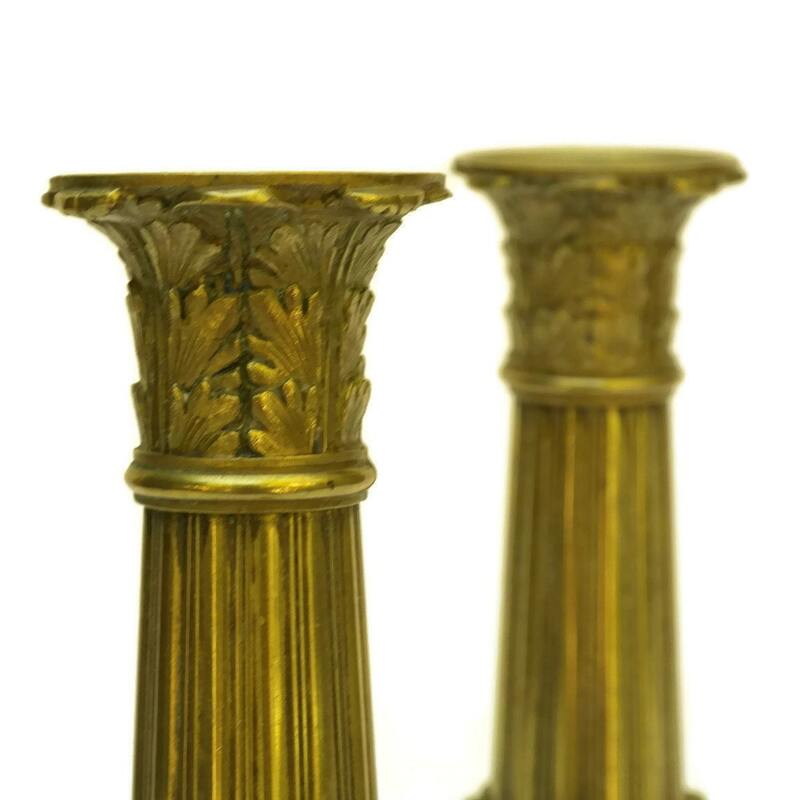 The gently tapering columns have a fluted design and feature a flourish of acanthus leaves on the base and around the top. 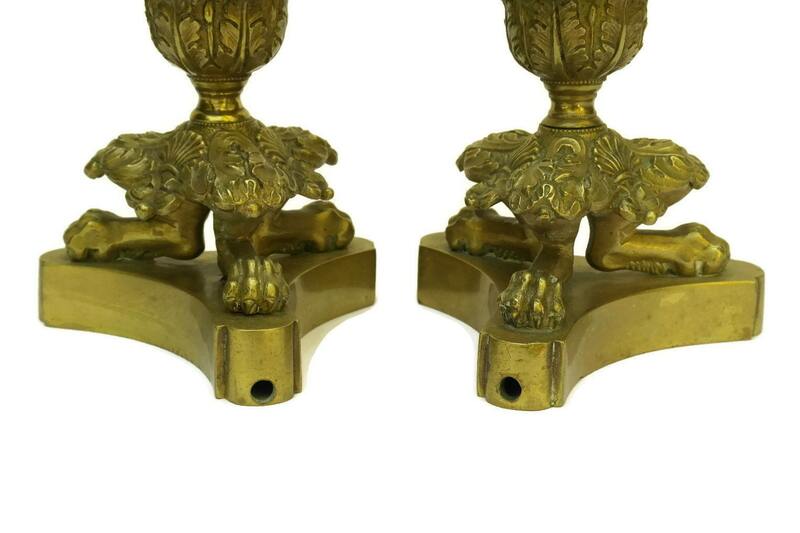 Each of the matching candlestick holders have been pierced with discreet holes to allow for them to be wired and used as lamp fixtures. 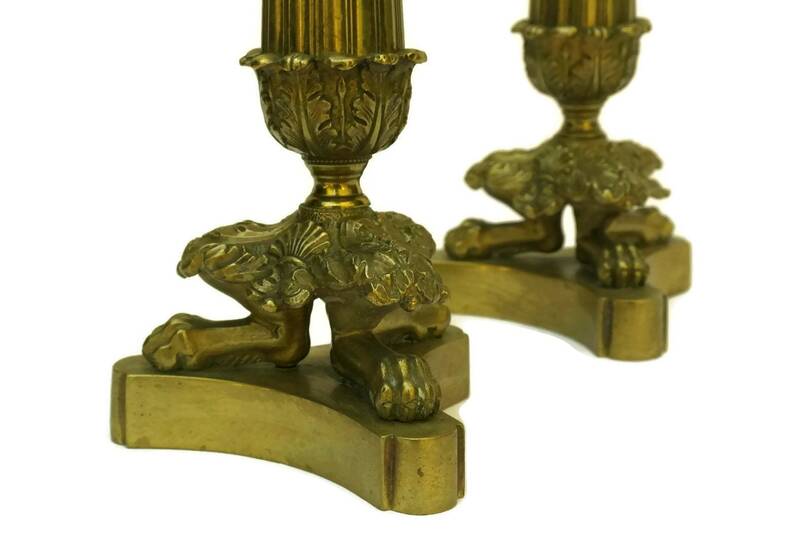 (18 cm x 9 cm). 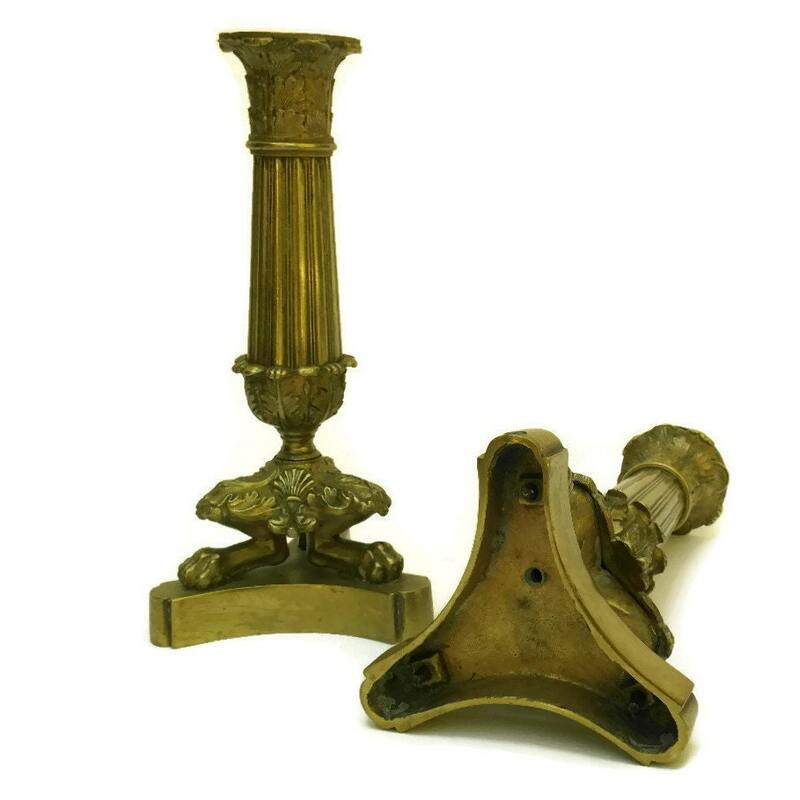 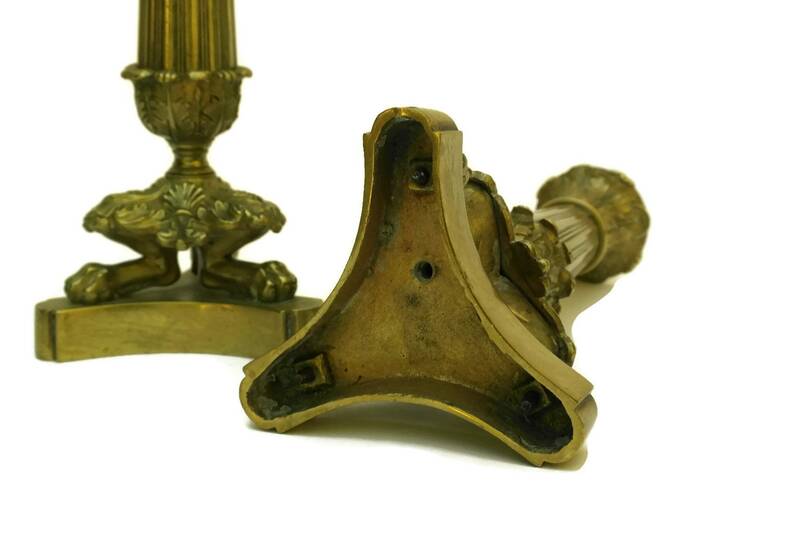 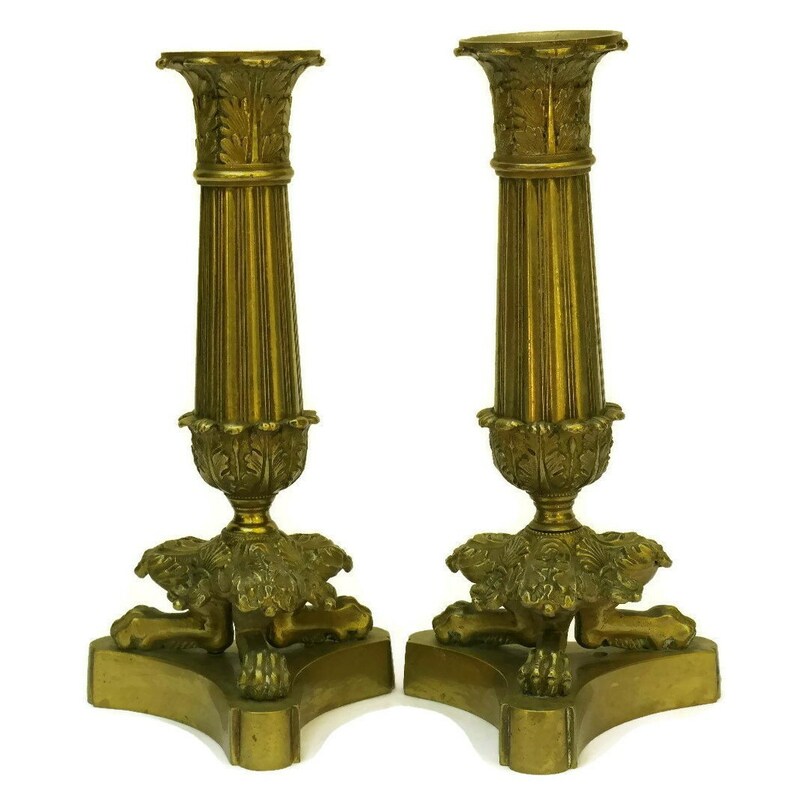 The pair of French bronze column candlestick holders is in very good antique condition with patina and light wear. 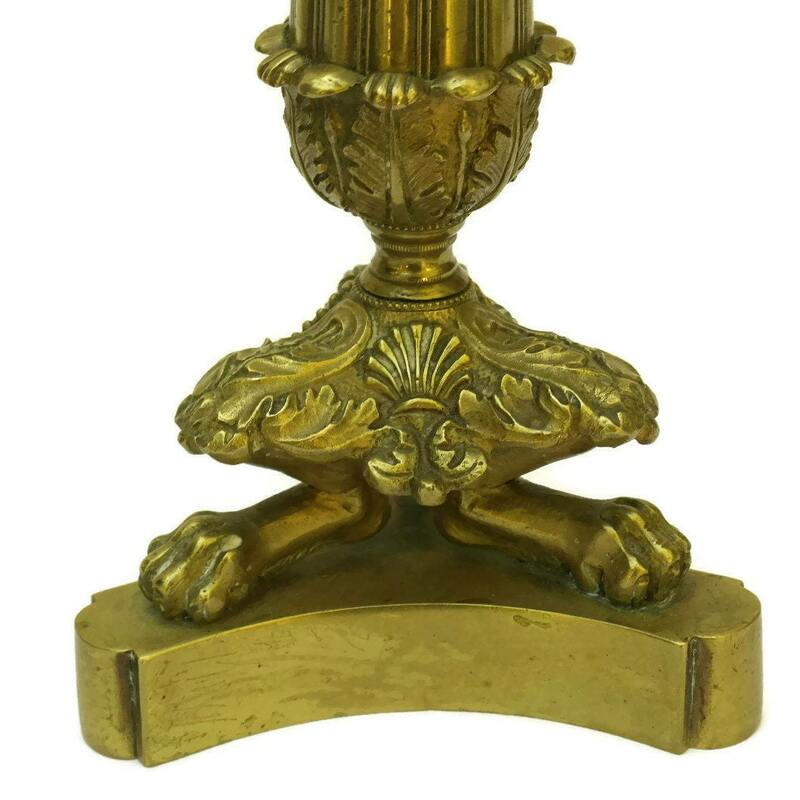 One of the candle cups has a small hole between two of the leaf motifs.